Your imagination will be captivated and you will be amazed "Beyond Belief". 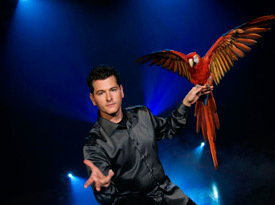 Niagara Falls Magic Show! 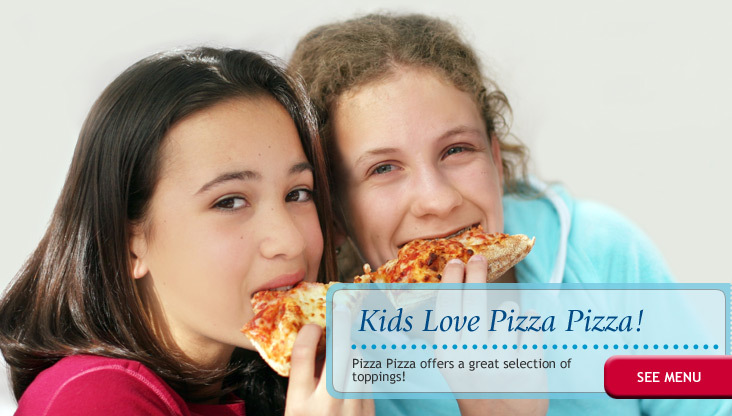 A pizza favourite! 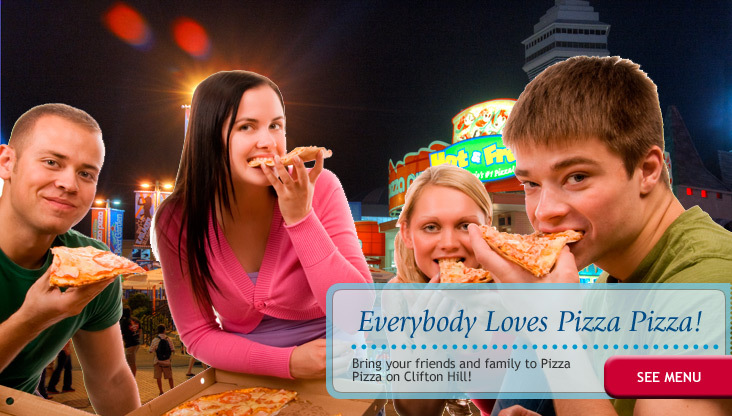 Bring your friends and family and grab a slice of hot, delicious Pizza Pizza at this convenient Clifton Hill location in Niagara Falls. Take a break from the district's shopping and entertainment and enjoy eating outside on the outdoor patio. 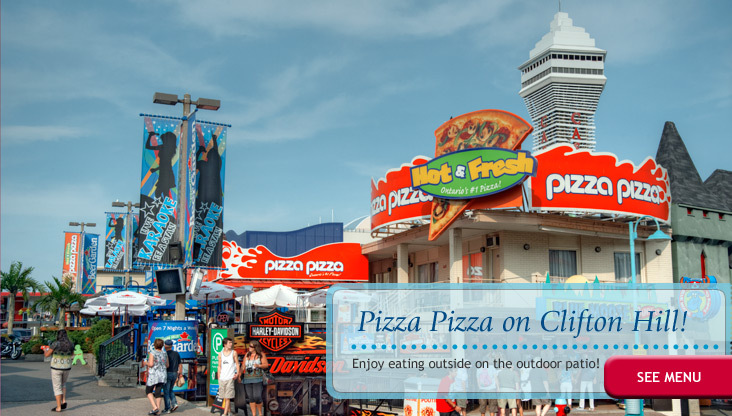 Pizza Pizza is one of Ontario's largest pizzeria chain and offers a great selection of toppings, drinks and sides, as well as salads, wings and more. 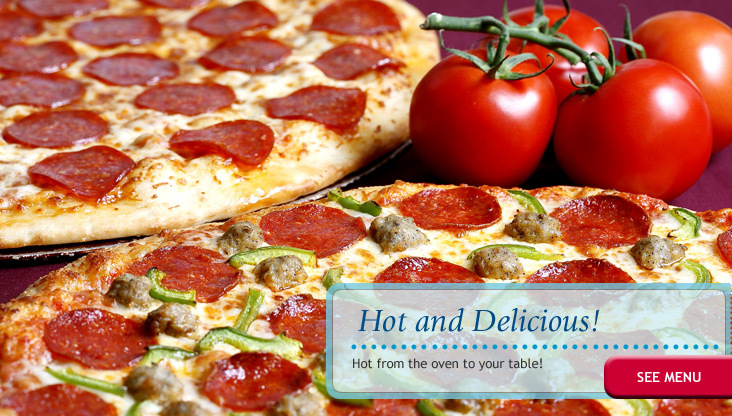 Share a freshly-made, hot from the oven pizza with your party, or grab a quick bite with one of the combo options on the menu. Come by for the famous and one-of-a-kind handcrafted burger, right on Clifton Hill. The Family Restaurant is a family-style restaurant serving up home-style cooking. 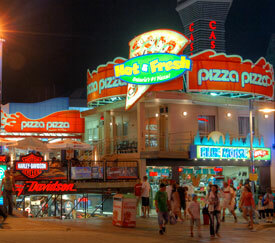 Enjoy the outdoor patio on Clifton Hill and get your fix of hot and fresh Pizza Pizza.